Are you an individual or business requiring a new website? Send us a message. 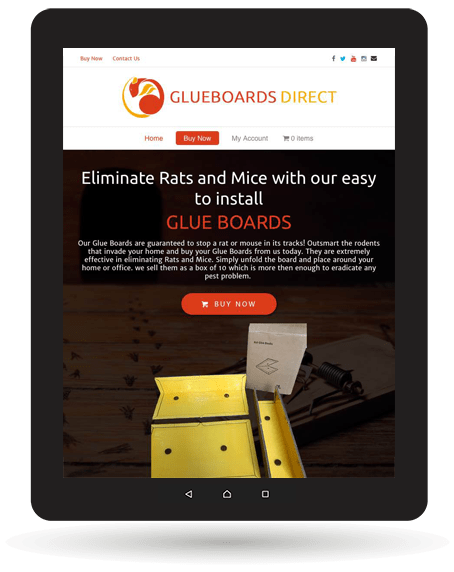 Glue Boards Direct is an online e-commerce facility specialising in the sale of professional glue traps for rats and mice. 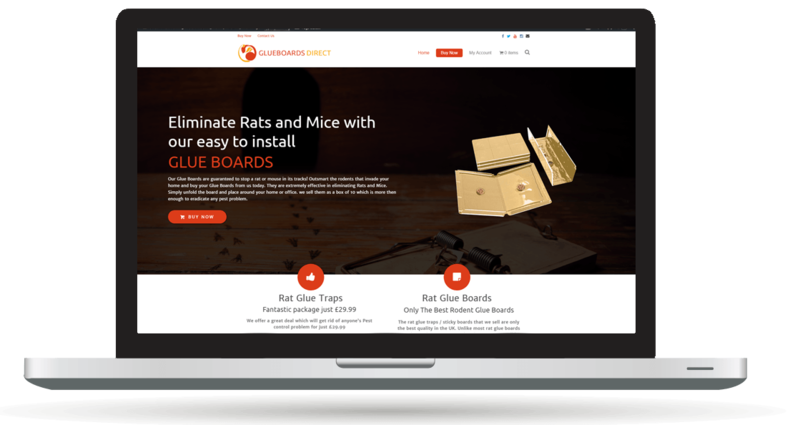 To design a modern, effective one product e-commerce website. Implement premium supported software licensed products for functionality. 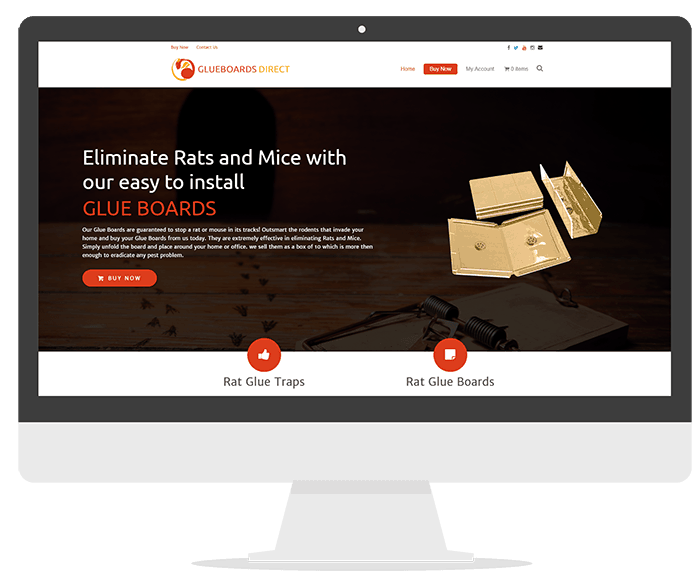 To provide excellent responsive layout tested across all mobile device sizes. To provide call to action and sales points for sales generation. To add the business information to Google services and maps to get found in the Google local search. To provide a faster page load using Cloud hosting and better browsing experience for the user. To provide cloud SSL 2048-bit key secure certificate in keeping with Google requirements and e-commerce security recommendations. To provide premium software updates, daily website backups and support. © 2019 Digital Webs. All Rights Reserved.